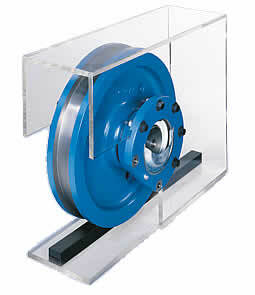 The Demag DWS Wheel Set performs transport duties on rails, including for heavier loads. We use it to build complete travel units of driven and non-driven design. These are equipped with our offset and angular geared motors from our modular range of industrial drives. 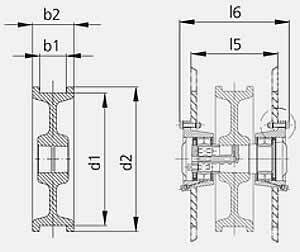 The use of these proven DWS series-manufactured components offers a high level of functional reliability and guarantees ease of installation when the wheel is replaced. Thanks to its versatility, the DWS wheel set is not only used in the crane and materials handling sector, but also for related mechanical engineering solutions.